Most people understand crickets to be non-threatening insects that can hop and make chirping sounds. Any further knowledge concerning the nature of these insects is considered superfluous to your average citizen. After all, crickets are not a significant part of anyone’s life. Well, for most people this is true, but for some residents of Texas, crickets can become omnipresent creatures during the late summer and early fall months. This is because certain cricket species are known for invading areas of Texas in massive numbers. These “cricket outbreaks” do not occur every year, and when they do, the outbreaks are, thankfully, limited to single towns, cities or counties, and not the entire state of Texas, as that would be horrifying. As you can imagine, these outbreaks often bring crickets into people’s homes, where they can damage clothing, drapery and wall paper. These materials can become stained with cricket vomit or feces, as well as from their feeding activity. Although crickets do not typically feed on textiles, clothes that contain human sweat and body odor sometimes sustain cricket damage. While researchers know that certain environmental factors can increase the likelihood of cricket outbreaks, there is still much that researchers don’t know about this phenomenon, as Texas cricket species are relatively understudied insects. According to Justin Hale with the Texas AgriLife Extension Service in Johnson County, dry spring and dry summer seasons greatly increase the chances of a cricket outbreak. It is believed that a prolonged period of dry climate allows more cricket eggs to complete their life cycle and develop into fully grown adults. It has also been speculated that the dry climate prevents the formation of fungal diseases that often affect and kill large amounts of cricket eggs and larvae, but no studies have been conducted to verify this theory. Although residents of Texas don’t have to worry about these crickets spreading disease, during outbreaks crickets can become a nuisance for homeowners, as crickets are attracted to artificial light sources located around homes and buildings. 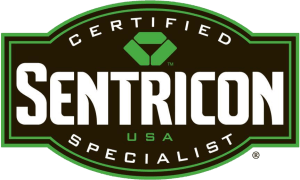 In order to prevent massive amounts of crickets from invading your home during an outbreak, it is important to tightly seal door thresholds, weep holes, windows and garage doors, as crickets are known for accessing homes in these areas. Have you ever heard about a cricket outbreak on the news or from a friend or relative who had witnessed one? The state of Texas is one big hunk of land that encompasses a number of climates due and is a major climate transition zone. You can go from being in the hot desert on the western side of the state to swamplands in the east, with a slew of various habitats throughout, making it a host of one of the most varied spider populations in the entire world. Texas contains more than a thousand different spider species, with most of them (around 900) making their home in South Texas. Of course, this means there are also plenty of venomous spiders living there such as the brown recluse and the dreaded black widow. These are spiders you definitely want to avoid, so what venomous spiders should you be looking out for in Texas? The infamous black widow spider comes in first place for being one of the most common venomous spiders in Texas. These spiders live both indoors and outdoors with a venomous neurotoxin in their bite that causes severe systemic reactions and even death in rare cases to humans that are unlucky enough to be bitten. They are black in color and have a reddish or yellowish marking on their abdomen that resembles an hourglass. Brown recluse spider the next ones you need to be mindful of in Texas. They are quite small in size and are a golden brown color. Luckily for us humans, brown recluse spiders avoid us at all cost, secluding themselves in dark, undisturbed, sheltered areas such as basements and garages where they hide amidst boxes, firewood, any kind of clothing or towels, and between boards. You really have to go looking for one of these guys to get bitten. This usually happens when people are in their garage and happen to brush their hand over or into the spiders hiding spot without even noticing the spider is there or that they got bitten. Their bite can cause nausea, fever, chills, and lead to necrosis of the skin where the bite is located. Texas wouldn’t be a desert state without having some tarantulas hanging around the place. Texas has 14 species of tarantulas, with most of them living in South Texas. Tarantulas are those big, black or brown, hairy spiders that are often depicted in films set in desert areas. Their large size (between 1.5 to 3 inches in length) and frightening looks are what make this spider so iconic. They tend to live in burrows or other natural cavities under stones and logs. Thankfully, while their bite is venomous to their prey, it is not poisonous to humans. What other venomous spiders can you think of that live in Texas? Texas may be the second largest state in the US by area, but no matter where you go in Texas, you cannot escape the native tarantulas and scorpions. This is especially true in rural areas of the state where homeowners sometimes see what appear to be hundreds of tarantulas traveling in herds across highways and properties. More troubling than the tarantulas are the scorpions, which tend to congregate and rest on a home’s exterior. When standing at a distance, these scorpion-adorned houses appear to be moving, at least this is how Jason and Victoria Fisher described their first Texas home in Bastrop. Not long ago, the Fishers moved into a home located on ten acres of land, and needless to say, they were surprised by the number of tarantulas they immediately encountered on the property. Eventually, the Fishers discovered that scorpions were the real enemy. Jason claimed to have found at least ten tarantulas crawling near and within his home in just the first month of living in Bastrop. According to experts, the Fishers moved into Texas just as male tarantulas were traveling in large groups across the state in search of a mate. This did not come as a surprise to Jason who claimed to have found herds of tarantulas crossing roads during his commute to Austin. But tarantula populations in Texas are known for fluctuating dramatically in size from year-to-year, and this could be due to many factors, including being displaced by wildfires and the occurrence of fungal infections that affect spiderlings. While the tarantula presence at the Fisher home was particularly creepy for Victoria, the scorpions that infested their home became a serious problem for the whole family. In just one night, Jason removed at least 100 scorpions from the exterior of the home. Unlike the tarantulas, which rarely wandered inside of the Fisher home, scorpions waltzed right inside where one specimen inflicted a sting on the couple’s daughter. Jason also sustained two stings before he had a professional treat the property with pesticide. While the family was happy to see the scorpions around the home decrease after treatments were applied, they were surprised that tarantulas appeared to be unaffected by the toxic chemicals. According to pest control experts, a significant dose of pesticide is required to kill tarantulas, and there does not exist any established method of tarantula control or eradication. Luckily, the Fishers have since gotten used to sharing their property with tarantulas. Have you ever spotted more than ten scorpions in one place? As the nation’s second largest state by area, Texas covers a wide range of ecosystems, and therefore, the state also contains a rich diversity of arthropod species. To provide examples, Texas is known for its high tarantula population in the southwest portion of the state, its high Formosan subterranean termite population in the southeastern portion of the state, and its remarkably high cockroach population in all areas of the state. However, most non-Texans are not aware that the state is also home to several venomous caterpillar species that can harm humans. In fact, the most venomous caterpillar in the United States, the puss caterpillar, resides in Texas, and they sometimes make their way into homes and buildings where they inflict painful and sometimes medically significant stings via the barbed bristles that protrude from their body, like quills on a porcupine. Numerous Texans sustain severe stings from venomous caterpillars each year, and many of these sting victims are young children. According to one study, during a five year period in Texas, there were 54 reported cases of people sustaining a caterpillar sting. Forty seven of these cases resulted in pain and swelling at the site of the injury, but the other seven cases resulted in anaphylactic shock brought on by a severe allergic reaction. The puss caterpillar was identified as the culprit in 43 of these cases. However, these cases occurred during the 1950s before rapid urbanization brought millions of people into the state, and before other venomous caterpillars had been identified within the state. Today, the caterpillar envenomation rate in Texas is much higher than it was over half a century ago. Back in the fall of 2014, a high school student was rushed to the emergency room after she sustained a puss caterpillar sting while riding the school bus. Earlier that same year, public health authorities publicly warned elementary school children to avoid the creatures. Just last year, a 5 year old girl was hospitalized after sustaining a puss caterpillar sting while playing in her front yard. Unfortunately, puss caterpillars are often found within or near homes, particularly patios. But the creatures die off during the cold of winter. Have you seen a puss caterpillar in the wild? Discovering that your home, business or rental property is infested with insects is always a bummer, but making the situation worse by introducing new problems is certainly the last thing that anybody would want to do in such a situation. One great way to start things out on the wrong foot when dealing with an insect infestation is to convince oneself that the insects can be eradicated without professional assistance and with commercially available pesticides. Of course, some insect situations within a house can be handled by non-trained homeowners, but if the infestation is substantial and extends to areas of a home that are inaccessible, then calling upon the services of a pest control professional is in order. It is not uncommon for disasters to occur when homeowners and tenants attempt to eradicate insect infestations themselves. For example, not long ago, a business owner discovered that her hair salon had become infested with numerous insects of different species. In a desperate attempt to remedy the situation herself, she literally blew up her salon. But luckily, she successfully eradicated the insect pests. A New York City woman purchased and activated 20 insect pest foggers within her hair salon in order to eradicate an extensive insect infestation within the business. Although the initial attempt at eradication via fogger managed to kill several of the insects, the foggers also revealed the true extent of the infestation, which was more widespread than she had realized. Since an even greater number of insects arrived to replace the ones that had just been killed, the salon owner proceeded to set up a few dozen additional bug foggers to seal the deal. Unfortunately for the amatuer pest control operator, the woman left the pilot light in her stove on, which ignited the flammable aerosol released by the several dozen fogging machines. The resulting blast certainly eradicated the insect pests, but the building’s windows were blown out on a total of three stories and 12 people sustained injuries. One building resident described running from the flames in an attempt to escape the building alive. Not surprisingly, this particular incident is nothing new, as non-professionals blow up their homes or other structures 500 times every year in the US in ill-conceived efforts to eradicate insect infestations with flammable fogging machines. Do you believe that it is ever permissible for a non-expert to attempt a DYI pest eradication method? Is It True That Scorpions Sting Themselves To Death When Confronted By Fire? For centuries, the claim that scorpions commit suicide via their own stinger when surrounded by fire has been spread among people of all cultures. Apparently, a scorpion, when confronted with an insurmountable threat, such as a ring of fire, will sometimes opt to take its own life. But is this claim true? Can a scorpion commit suicide? Can a scorpion willingly sting itself? The answers to all three of these questions is a big “no”. At least this is the answer given by entomologists, biologists and numerous other experts concerning the topic of scorpion suicide. Despite expert claims to the contrary, some people today, upon catching a scorpion, will sadistically light a ring of fire around it solely to witness the arachnid sting itself to death rather than suffer a painful demise. There is a surprisingly large amount of anecdotal reports that describe this suicidal behavior in great detail, and in the past, many scientists insisted that scorpions sometimes do, in fact, commit suicide in certain dire situations. Scorpions are one of the oldest, if not the oldest, terrestrial animals to exist on the planet. Therefore, scorpions are uniquely adaptable and hardy creatures. In fact, scorpions can even survive the radioactive fallout that results from nuclear blasts. Considering the evolutionary success of scorpion species, the idea that they evolved suicidal behaviors is ridiculous. Another clear problem with the “fire myth” is the fact that a scorpion species is, obviously, unharmed by its own venom, and even the venom of other scorpion species. Despite the glaring logical problems concerning this myth, researchers puzzled over this alleged phenomenon for centuries. Back in 1887, a Professor of Biology, Alfred Bourne, at the Presidency College in Madras, aimed to settle the question of scorpion suicide once and for all. In the study, Bourne mentioned several prominent scientists of his time who were convinced that scorpions sometimes commit suicide when surrounded by fire. As for all of the modern anecdotal reports that can be found online claiming that scorpion-suicide is real, experts say that the purported self-stinging is actually the scorpion reacting frantically and spasmodically to the heat of the fire. Have you ever heard the “scorpion suicide” myth before? If you have, then did you believe it to be true? Do you still? https://www.wacopest.com/wp-content/uploads/2018/07/02-2.jpg 430 1500 John https://www.wacopest.com/wp-content/uploads/2018/04/ipest-solutions-logo.png John2019-01-28 10:51:392019-01-28 10:51:39Is It True That Scorpions Sting Themselves To Death When Confronted By Fire? It is a common misconception that when the temperature drops pests will simply disappear until the spring. The reality is that many pests synonymous with warmer weather, like mosquitoes, ticks, ants and termites, can survive well into the winter and some may even look to our homes for a warm place to stay. Trim back trees to prevent access to the underside of the roof overhang. Declutter the basement, attic and any utility rooms to remove harborage sites for rodents. Repair loose mortar and replace worn weather-stripping around doors and windows. Store food in a sealed container and keep crumbs off of the floor. Seal any and all cracks or gaps on the home’s exterior with a silicone-based caulk, steel wool or a combination of both. Store firewood at least 20 feet from the home on a raised, covered structure. Inspect pieces of firewood for signs of pests before bringing inside for use. 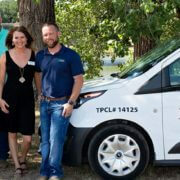 Partner with a licensed pest control professional to inspect the home and address any pest problems. Another way to prevent a winter pest invasion is by avoiding ice dams. These dams can cause moisture problems in homes, which attracts rodents and cockroaches, among other pests. 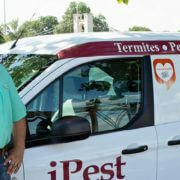 If a homeowner suspects an infestation of any kind this season, iPest Solutions is only a phone call away. During the early summer of 2016, a dangerous fashion trend swept the country of Mexico, and this trend has yet to die-off. This fashion trend entails gluing baby scorpions to fingernails, and these baby scorpions are not just any scorpions, they are actually one of the most deadly scorpion species in the world. There currently exists around 2,000 scorpion species that have been documented, and 221 of these species can be found in Mexico. Of these 221 species in Mexico, only 8 are known to possess venom that is strong enough to kill an adult human. Although it may be hard to believe, but the Durango scorpion is one of these deadly species, and this is the same species being used by women as a decorative fingernail ornament. This means that there exists 213 non-deadly scorpion species native to Mexico that could have been chosen as a fingernail decoration, but for some reason, the deadly Durango scorpion is the species that Mexican women prefer to have glued to their nails as a mark of beauty. While a mere 8 deadly scorpions may not seem like a high number, it should be known that the rate of deadly scorpion stings is particularly high in Mexico. In 2008, the number of documented scorpion stings reached 53,840 in Mexico, which far outnumbers the rate of scorpion stings that occur in just about every other country on earth. The Durango scorpion is not only one of the most deadly scorpion species in the world, but its venom kills sting victims within a period of 15 short minutes. This is astounding considering that other deadly scorpion stings often take hours to kill an adult human. Given the short amount of time in which this species kills a human, antivenom is often not administered to victims in enough time to save their lives, making the Durango scorpion responsible for a particularly high proportion of scorpion related deaths. Mexican women would really be better off sticking to simple nail polish. Do you known of any other arachnid species that can kill its bite or sting victims within a matter of minutes? Can Scorpions Be Found Dwelling In The Midwest United States? Scorpions are one of earth’s oldest living animals, as fossil evidence suggests that they have existed on earth for nearly half of one billion years. Not only does this make scorpions the oldest living arachnids, but it also makes them the oldest living terrestrial predators, as they are believed to be among the first animals to emerge from their former ocean habitat. Considering the advanced age of scorpions on the evolutionary tree of life, it is no wonder as to why they have become one of the most diverse and widespread of all arachnid groups. Although scorpions are typically associated with the arid desert landscape that makes up much of Arizona, New Mexico and southern California, there a numerous scorpion species that exist elsewhere in the United States. Luckily, non-desert dwelling scorpion species are mostly harmless and prefer to hide beneath rocks before emerging at night to hunt prey. Many people may be aware of the fact that scorpions exist within states like Mississippi, Florida, South Carolina and even North Carolina, but it is not commonly known that wild scorpions can also be found within the states of Virginia, central Kentucky and even Illinois. This makes scorpions native to the heartland states, where residents would never expect to spot a wild scorpion. The scorpion species officially known as Vaejovis carolinianus, and more commonly known as either the “southern unstriped scorpion” or “southern devil scorpion,” can be found in the western portion of North Carolina. Two other scorpion species, Centruroides vittatus and Centruroides hentzi, were introduced to North Carolina accidentally some years ago, and they still maintain a presence in the state to this day. However, what is most surprising is the fact that one scorpion species can be found within the state of Illinois, which is located in the center of the United States. This species is known as the the striped bark scorpion (Centruoides vittatus), which is a different species than the Arizona bark scorpion, which is the most venomous scorpion species in the US. Luckily for midwesterners who fear scorpions, it is highly unlikely for anyone to encounter this species considering its small size and reclusive habitat. Have you ever stumbled upon a scorpion species in the midwest or eastern region of the US? https://www.wacopest.com/wp-content/uploads/2018/07/02-2.jpg 430 1500 John https://www.wacopest.com/wp-content/uploads/2018/04/ipest-solutions-logo.png John2019-01-07 12:03:372019-01-07 12:03:37Can Scorpions Be Found Dwelling In The Midwest United States?